Thread by @JamieJALFT: "China brings Haiti into new Silk Road 30billion last SEPT look it up folks. It's SHOWTIME! PRAYING FOR OUR TROOPS BUT AINT NO STUNT ITS REAL […]"
China brings Haiti into new Silk Road 30billion last SEPT look it up folks. It's SHOWTIME! PRAYING FOR OUR TROOPS BUT AINT NO STUNT ITS REAL GO TROOPS WONT BE HOME THANKSGIVING NOT OFF DUTY ANYWAYS. 2. My previous threads on this are crucial to help you understand just how connected all of this is. If you haven't read my past big thread on this, please do so before continuing. It'll help in making many connections before you read this one. 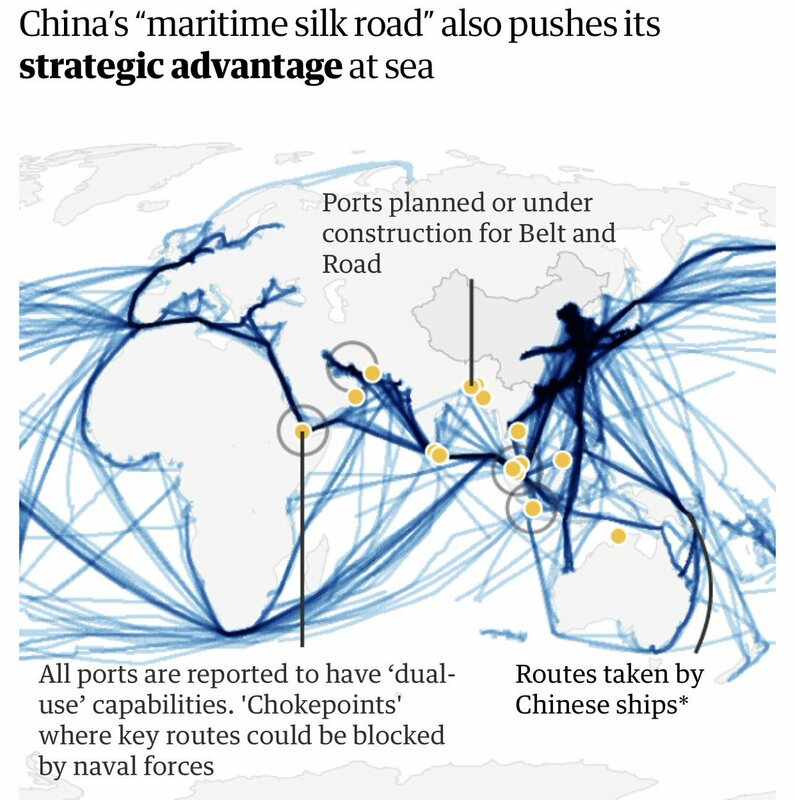 ‘String of Pearls’ (SOP) refers to a geopolitical network of Chinese military installations & commercial facilities developed by China in countries falling on the Indian Ocean between the Chinese mainland & Port Sudan in India Ocean Region (IOR). China also pushes its strategic advantage at sea. China unveiled the concept for the Maritime Silk Road (MSR) in 2013 as a development strategy to boost infrastructure connectivity throughout Southeast Asia, Oceania, the Indian Ocean, and East Africa. The MSR is the maritime complement to the Silk Road Economic Belt, which focuses on infrastructure development across Central Asia. Together these initiatives form the One Belt One Road (OBOR) initiative designed to enhance China’s influence across Asia. We're gonna take some time out to look over Dianne Feinstein and China and see what can be found. There are probably others at this point who will have already covered some of what I find, but let's go for it anyway. Dianne Feinstein became a United States Senator for California, assuming the office on November 4, 1992. She won this through a special election, defeating John F. Seymour. According to CBS News, the Chinese spy was at Senator Feinstein's side for 20 years, although the reveal of her driver being the spy happened 5 years ago. 5 years ago was 2013. 20 years before that was 1993. She became Senator on Nov. 4, 1992. So roughly when she started.